If you went through public school in the United States, chances are The Oregon Trail was an important part of your childhood. It's already trekked to DSiWare via Gameloft, but now GameFly lists a retail version fording the Wii and 3DS rivers this November. It's coming from Red Wagon Games, who is bringing out May's Mysteries: The Secret of Dragonville in the states as well. We're hoping to see a version that's packed with enough supplies to give this classic game value as a full retail release, not something that is too weak to make the trip. Do you want to load this into your wagon? considering I can get it as DSiWare for a fraction of the full 3DS-game retail price... all i can do is wonder what they're bringing to the table to set this game apart from everything that's come before it, because it's gonna hafta be frickin' amazing to garner any real interest. If it were 3DSware I would buy but full retail, Eh. I won't buy games that are available on Facebook for free. Not because they're free there, but because they are not quality titles. And full-retail release? Definitely not. Well, I want it.. I really hope there's things added to make it a justifiable retail release though..
Do want this! If it stays faithful to the PC version then this will be an Instant buy for me! "drools"
OMG I remember playing this game all the time in elementary school. I will defiantly be checking this one out. Might not buy this one right away but I will at least rent it. Not only did I never get this on dsiware, but it's going to be I'n 3D and some of the features I'n the dsiware one can simply make good streetpass possibilities. Well this shores up those complaints we had about no Wii games this year. I'm sure this will be much better than the Last Story, Xenoblade or Pandora's Tower. Sign me up for some dysentery. I've got a family member getting into gaming, & this might encourage to game more. 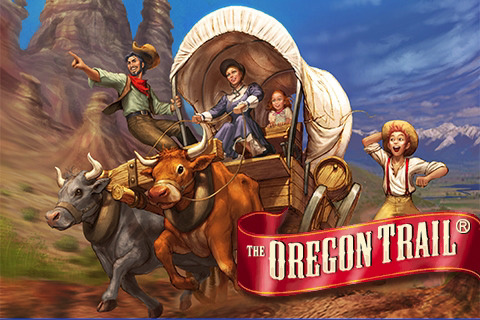 Fun to play the remake, I fine not riding in the wagon train again though. Maybe my girlfriend will ask me to get it since she loved it so much. I'm hoping for one that plays more like the original. I don't know about a retail release, but it's something to keep an eye on, especially since the DSiWare version is one of the few DSiWare games I can't get on my 3DS. Just make the DSiWare version available in Europe, christ. I'd also like the Gameloft version there. But since this is from a different dev i hope they can make the retail price worthwhile. Man, playing this was my favorite way to pass time in elementary school! The hunting was so fun! I really hope a Wii or WiiWare version comes out in Europe. This takes me back do want.